Please include those identified below in your prayers. The prayer requests described below have been submitted by brother Knights. Each request remains here for one month. There are no Prayer Requests so far this month. Site Developed and Managed by UKnight Interactive. Copyright © 2009 - 2019 LiST Interactive, Ltd. All Rights Reserved. The words "Knights of Columbus" and the Knights of Columbus emblem are the exclusive property of and trademarks registered by the Knights of Columbus, used herein with permission. 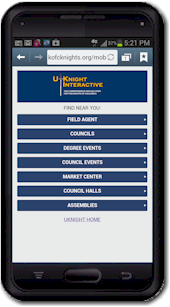 The words "UKnight Interactive" is the exclusive property of and a service mark registered by LiST Interactive, Ltd, and may not be used without written permission.